The term non-governmental organization or NGO was not in general currency before the UN was formed. When 132 international NGOs decided to co-operate with each other in 1910, they did so under the label, the Union of International Associations. The League of Nations officially referred to its “liaison with private organizations”, while many of these bodies at that time called themselves international institutes, international unions or simply international organizations. The first draft of the UN Charter did not make any mention of maintaining co-operation with private bodies. A variety of groups, mainly but not solely from the USA, lobbied to rectify this at the San Francisco conference, which established the UN in 1945. Not only did they succeed in introducing a provision for strengthening and formalizing the relations with private ‘organizations previously maintained by the League, they also greatly enhanced the UN’s role in economic and social issues and upgraded the status of the Economic and Social Council (ECOSOC) to a “principal organ” of the UN. To clarify matters, new terminology was introduced to cover ECOSOC’s relationship with two types of international organizations. Under Article 70, “specialized agencies, established by intergovernmental agreement” could “participate without a vote in its deliberations”, while under Article 71 “non-governmental organizations” could have “suitable arrangements for consultation”. Thus, “specialized agencies” and “NGOs” became technical UN jargon. Unlike much UN jargon, the term, NGO, passed into popular usage, particularly from the early 1970s onwards. Many diverse types of bodies are now described as being NGOs. 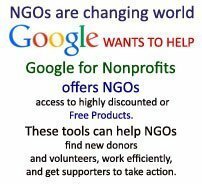 There is no generally accepted definition of an NGO and the term carries different connotations in different circumstances. Nevertheless, there are some fundamental features. Clearly an NGO must be independent from the direct control of any government. In addition, there are three other generally accepted characteristics that exclude particular types of bodies from consideration. An NGO will not be constituted as a political party; it will be non-profit-making and it will be not be a criminal group, in particular it will be non-violent. These characteristics apply in general usage, because they match the conditions for recognition by the United Nations. The boundaries can sometimes be blurred: some NGOs may in practice be closely identified with a political party; many NGOs generate income from commercial activities, notably consultancy contracts or sales of publications; and a small number of NGOs may be associated with violent political protests. Nevertheless, an NGO is never constituted as a government bureaucracy, a party, a company, a criminal organization or a guerrilla group. 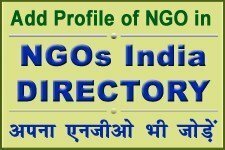 Thus, for this article, an NGO is defined as an independent voluntary association of people acting together on a continuous basis, for some common purpose, other than achieving government office, making money or illegal activities. This basic approach will be elaborated and modified below. In discussion of politics within countries, a distinction is often made between interest groups and pressure groups, but it is taken for granted that both types of private groups have an impact upon government policy-making. The term, interest group, is biased towards consideration of groups such as companies or trade unions. Use of the term is unsatisfactory, as it tends to imply that such groups are only concerned with economic policy, that they only act to safeguard their own economic position and that only groups with substantial economic resources can have an impact on politics. None of these propositions is valid. Major economic actors are also concerned with values beyond the accumulation of wealth. At the minimum, they also pursue security and status. At the maximum, they have a wider responsibility towards health and safety, social welfare and environmental values. The term, pressure group, invokes a wider range of groups. Its use is intended to cover those, such as environmentalists and human rights groups, who are pursuing goals that do not directly benefit themselves. It emphasizes the processes by which groups mobilize support to promote their political values. The contrast between interest groups and pressure groups can be used to suggest a contrast between objective goals and subjective goals and hence privilege the pursuit of economic returns over environmental values and other abstract values. In the United States, a similar distinction is made, with stronger, but different, normative connotations. Mention of a lobby seems to imply the illegitimate use of wealth in a secretive manner, while private voluntary organizations or public interest groups convey a positive image. There is a logical problem with the distinction in that membership of a lobby is both private and voluntary. These terms are also unsatisfactory as the latter two suggest charitable activity and do not readily bring to mind campaigning groups nor those who are concerned with global issues, such as Greenpeace and Amnesty International. “Public interest” appears to cover the general good, in an objective manner, but it is an essentially-contested concept, both with respect to what is “the public” and with respect to identifying “the common interest”. One person’s view of the public interest may be seen by another person as the assertion of unacceptable values, ideological extremism or special pleading. The distinction between interest groups and pressure groups or between lobbies and private voluntary organizations has no analytical value. All pressure groups or voluntary organizations have some interests to protect, even if it is only the maintenance of their reputation, increasing the number of active supporters and gaining sufficient income to communicate effectively. Altruistic charities use sophisticated public relations campaigns to raise funds and standard lobbying techniques when government taxation policy affects their income. Equally, all interest groups and lobbies are of political importance, precisely because their pressure influences social and political outcomes. They do not necessary operate in a secretive manner in the corridors of power and they do at times seek to mobilize public support. When they engage in political debate, company representatives often argue for general abstract values that go beyond their specific concrete interests. Companies can only challenge the public interest – or more precisely public opinion – at the risk of damaging their public reputation, their brand values and their income. Many companies more positively promote what is often seen as the public interest. They may donate profits to charitable activities, identify directly with environmental values to benefit from green consumerism or even reduce consumption of energy and raw materials to reduce costs. Trade unions usually go much further than companies in making explicit their endorsement of a wide range of political values. They also allocate money, personnel and other resources to campaigning, both independently and in coalition with other pressure groups. Whatever one might think of these terms from the discourse on politics within countries, they are never used in global politics. Because diplomats like to claim that they are pursuing “the national interest” of a united society, they will not admit to relations with interest groups or pressure groups and they prefer the bland title, non-governmental organizations. The thinking behind the concept of a public interest group has been transferred to some people’s attitudes to NGOs. There is a desire to limit access to the UN system to “proper” NGOs, but all this means is that groups supported by the person concerned should be included and other groups excluded. 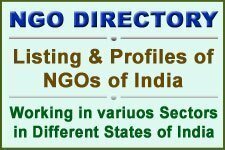 The other terms – interest group, pressure group, lobby and private voluntary organization – could all be applied legitimately to most NGOs. However, there is mutual connivance in most political processes at the global level to hide behind the uncontroversial catch-all term NGOs. The only significant exception, which is discussed below, is the tendency in global environmental politics to talk about “Major Groups”. This sounds more positive, but it is still a vague term, devoid of any direct association with participation in policy-making. In the logic of the language, there is no difference between a non- governmental organization and a private voluntary organization, but NGO still carries neutral connotations and applicability to a diverse range of political actors, whereas PVO suggests moral approval of a more limited range of groups. In practice, it is impossible to agree any general terms to distinguish praiseworthy from unacceptable groups, either in domestic politics or in global politics, because such a distinction is a subjective choice made on the basis of each observer’s own value preferences. In academic study of international relations, the term “transnational” was adopted to refer to any relationship across country boundaries, in which at least . one of the actors was not a government. It was adopted in order to deny the assumption that international relations was the same as inter-state relations, or more precisely intergovernmental relations. .It came into currency in the 1970s as a result of economic and environmental questions being recognized as a high priority for the global agenda. It is immediately apparent that the academic concept of transnational actor is quite different from the political concept of an NGO. Firstly, It excludes all NGO activity that is confined to a single country. Secondly, it includes all the other non-governmental actors that have been defined as being outside the world of NGOs. It is commonplace to refer to transnational companies, transnational criminals, transnational guerrillas and transactional terrorists. In global politics, it is rare for any reference to be made to transnational. The most difficult question about the independence of NGOs is whether they come under governmental influence. Individual governments do at times try to influence the NGO community in a particular field, by establishing NGOs that promote their policies. This has been recognized by quite common use of the acronym GONGO, to label a government-organized NGO. Also, in more authoritarian societies, NGOs may find it very difficult to act independently and they may not receive acknowledgment from other political actors even when they are acting independently. Beyond these unusual situations, there is a widespread prejudice that government funding leads to government control. In the field of human rights, it would damage an NGO for such a perception to arise, so Amnesty International has strict rules that it will not accept direct government funding for normal activities. On the other hand., development and humanitarian relief NGOs need substantial resources, to run their operational programs., so most of them readily accept official funds. While these NGOs. would like the security of a guaranteed budget for their administrative ; overheads, governments generally only want to support field costs for projects. Nominally NGOs may appear to be independent, when they design their own programs, but government influence can arise indirectly if the program is designed to make it more likely that government grants or contracts will be forthcoming. On the other hand., confident experienced NGOs can appeal for funding for new approaches and in so doing cause government officials to reassess policy. The best example of this is the way in which NGOs., particularly the International Planned Parenthood Federation, dragged governments into adopting population programs. There is no obvious method to identify the direction of influence, without detailed knowledge of the relationship between an NGO and a government fund. Environmental NGOs may have either type of funding relationship. Conservation and research groups may happily obtain government funds to support their programs: some are innovative and some are not. Beyond these situations., radical campaigning groups may be unwilling and unable to attract government funds. While a political party is not regarded as an NGO and cannot gain recognition at the UN, a small number of transnational groupings of political parties do gain consultative status with ECOSOC. There are also several groups of parliamentarians with consultative status. No problems have arisen with either group, because they have carefully avoided trying to involve the UN in the “internal affairs of states”. Human rights NGOs feel aggrieved that the same principle is applied to them, even though one of the purposes of ECOSOC is “promoting respect for, and observance of, human rights”. In May 1968, ECOSOC Resolution 1296 (XLIV) specified that NGOs “should have a general international concern with this matter, not restricted to the interests of a particular group of persons, a single nationality or the situation in a single State”. While this provision was dropped from the revised text in July 1996, it is still applied in practice. Christian Solidarity International also lost its consultative status in October 1999 after it had allowed the guerrilla leader, John Garang, to speak on its’ behalf, at the Commission on Human Rights. The recognition of minority rights is such a complex question that it is handled very differently in different countries. In both North and South America, the minority communities who are descendants of the inhabitants prior to the arrival of the great waves of European settlers are given the privileged title of “indigenous peoples”. The term has also been adopted in Australia and New Zealand and a few other countries. On the other hand, governments in various ethnically diverse countries do not wish to accord any special recognition to minorities. The compromise is that the UN refers to indigenous people, as individuals who have rights, and not to indigenous peoples (note the plural). This avoids recognition of any collective identity or any claim to the right of self-determination. The restrictions deriving from Resolution 1296 mean the organizations with consultative status are mainly global or regional coalitions of ethnic minorities. However, special procedures have been adopted in both the Commission on Human Rights and the Commission on Sustainable Development to allow participation by a wider range of indigenous organizations. In addition, in July 2000, ECOSOC established a Permanent Forum on Indigenous Issues, consisting of sixteen independent experts, half of whom are nominated by indigenous organizations. Through a variety of complex issue linkages, these NGOs can be important in environmental politics, notably in the conservation of rainforests. While they are only present in the UN system under the auspices of the arrangements for NGOs, indigenous people are often keen to claim a unique status that is separate from and superior to the representatives of NGOs. As a result, their alliance with environmentalists does not always operate smoothly.